A gentleman wasn’t properly dressed without a waistcoat. 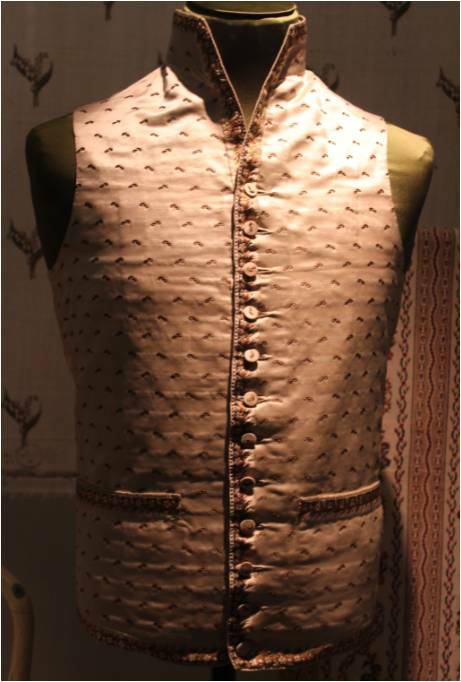 A waistcoat was a highly elaborate piece of clothing and allowed to show off exquisite taste in fashion. The garment itself was the subject of fashion trends. You would of course suppose that its decoration varied throughout the 18th century. But did you know that the cut changed significantly, too? Learn about the styles of waistcoats throughout the decades in this post. This is not a coat! 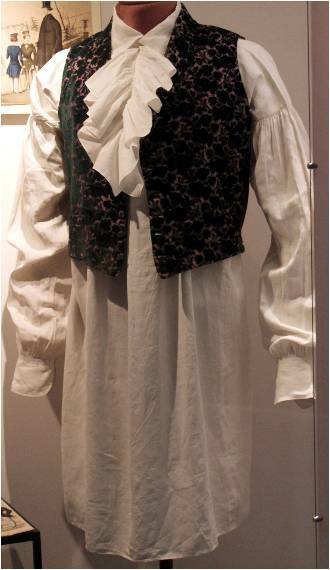 It’s an early 18th-century waistcoat. 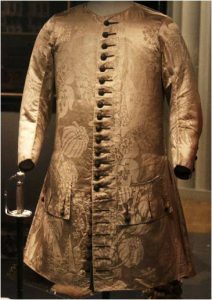 It was worn with breeches, a shirt and a coat. 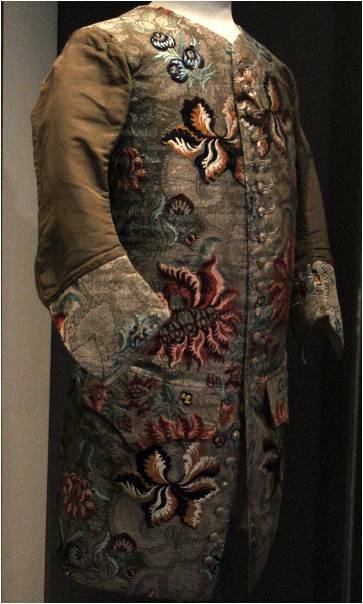 The coat was generally left open to display the fine silk pattern of the waistcoat. On informal occasions, the waistcoat was also unbuttoned between collar and waistline to allow glimpses of the shirt beneath. The waistcoat features long sleeves, many buttons and large pockets. It is slightly flared from the hip to allow comfortable movement. The most striking aspect is the length: the cloth would have covered the upper leg and sometimes even the knee. Why was the waistcoat so long? It was to display the lower legs as an important part of the male silhouette. 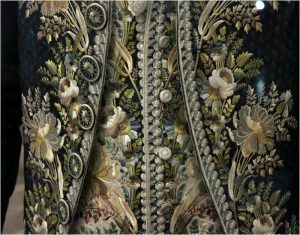 This waistcoat (photo on the right side) from 1734 is an expensive and colourful piece. It was made of silk, and silver threads were used for the embroidery. The garment still has long sleeves, large pockets and is very long. However, it begins to open at the bottom, and though there are buttons these were not meant to be used. This would allow for more comfort and mobility, and gentlemen could wave goodbye to the flared style. With regards to cut and male silhouette, the focus is still on the lower leg. The colour, however, clearly directs the glance up to the torso. A radical change occurs from the 1760ies. 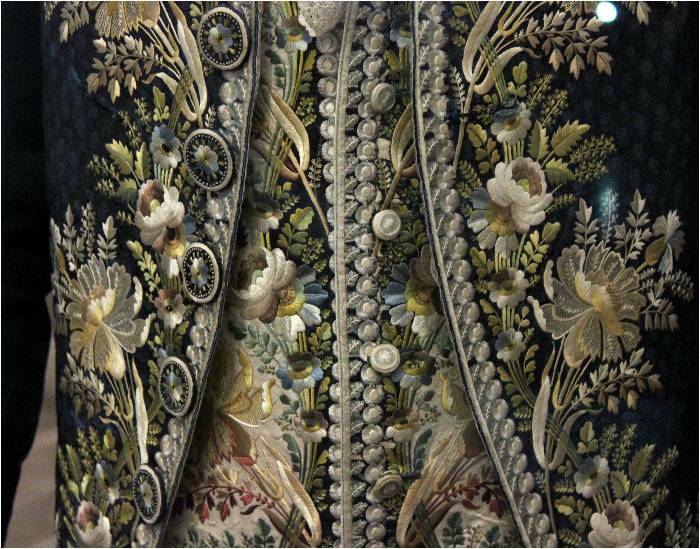 Colourful embroidery has given way to simpler designs (exception: the elaborately embroidered waistcoat worn with the court suit). When being in town on business or shopping, a man of fashion would wear a plain waistcoat made of fine wool. Colour, lining and buttons would be the only decorative elements. The most radical change affected the cut of the waistcoat. The garment has shrunk in length, almost as if having been washed too hot. The cloth that used to cover the upper legs now hardly covers the pelvis. Additionally, the waistcoat slopes back at the bottom, so that it can’t be buttoned down all the way. The focus of the silhouette clearly starts to move up. Where will this development lead to? 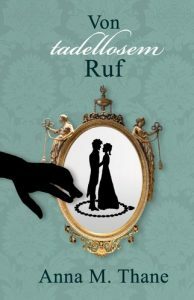 Revolution strikes in the 1780ies – literally. With the end of the aristocracy in France, the male lifestyle starts to change. Gone are the times were men of higher rank sought female company at a seemingly effeminate court. Men make nature and outdoor sports their own. Fashion quickly adapts to the new lifestyle. The waistcoat is not what it used to be: Long sleeves are obsolete. The pockets are small and straight. Decorative elements are tasteful and unobtrusive. The collar starts to rise. 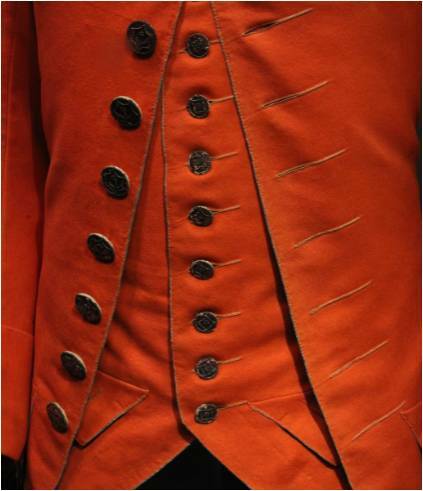 The collar of the waistcoat in the photo (left side) hardy allows the gentleman to move his head. Most important: The male silhouette has changed for good. The focus is now on the long leg and the muscular thigh. The leg, dressed in tight, buff-coloured pantaloons, should look like the leg of a Greek Olympic athlete. More portly gentlemen need a corset to create this look. 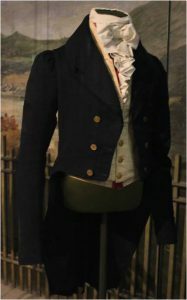 In the Regency period (1811-1820) a superb cut, fine cloth and restrained colours are the characteristics of a tasteful waistcoat. Buttons are the only decorative embellishment. The length of the waistcoat is even more reduced than in the 1780ies. The waistcoat now ends slightly below the hip, matching the new frock coat with its short waistline and long tails. In the 1840ies, textiles are rich and heavy. Decorative patterns borrow from the gothic style. The waistcoat is now at minimum length. It barely reaches the hip. As if to compensate the loss of material in length, the waistcoat features lapels. These can be rather big. They accentuate the chest that has come into focus.